It seems like we're all so caught up in the Brexit news cycle that the Euros has very much taken a backseat. Whether that will result in us putting in a first class performance for a change or the 'same old, same old' is anyones guess. It at least ensured that I missed the first half of the bizarre opening ceremony though so I'm already reaping the benefits of not paying much attention thus far. Our friendlies leading up to this have been something of a mixed bag in my view but certainly not without promise. We have a few minor injuries in the team but nothing too serious so at minimum we have few excuses to not give this a good go. We're hearing that Jamie Vardy might not start but that's an unknown at the moment and besides, there's much talent in this young team even without him. Russia's Alan Dzagoev and Igor Denisov will not take part in the game, or in fact the competition, after suffering bad injuries post selection. Hodgson admits that the England squad are still a work in progress, so lets hope that they can peak at the right time. The current betting odds put England at 5/6, the draw 11/5 and Russia 15/4. 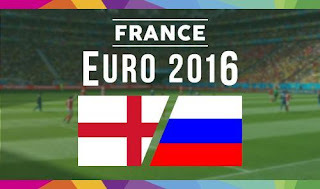 For those of the less patriotic variety the odds for a Russia win really aren't that bad. I'm more inclined to go with Over 2.5 goals at 29/20 though on account that our defence at times can leave a little to be desired - but at the same time we're quite strong up front. Both teams will be looking to impress in this first group game so it wouldn't surprise me to see the goals going in. Granted Russia's games can be low scoring, but their very last result was France 4 - Russsia 2, so I think there's plenty of scope for a high score, especially if there's an early goal.